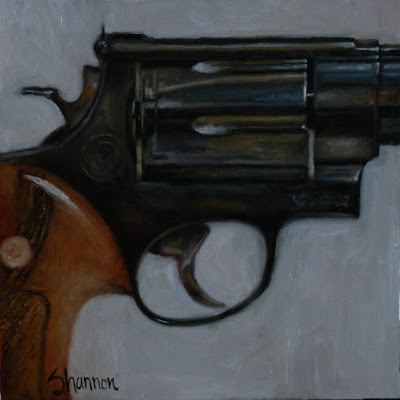 .44 MAG oil 8" x 8"
great painting. I really like how you approached the handle. well done. Great job! It looks totally cool. uh...if I didn't know any better, I might be worried. Okay, you know I never start my comment out serious. Looks great, tell Allen, nice subject inspiration.